When it comes to updating your living space one of the best places in the home to consider is the bathroom. Used on a daily basis, the bathroom is often one of the first rooms in the home to deteriorate from wear and tear. A professionally remodeled bathroom can provide you with a lifetime of comfort and pleasure. However, if you don’t plan it out carefully, you could end up spending a lot of money on something you’re not satisfied with. Below is a list of do’s and don’ts to help you create a bathroom you’ll want to retreat to daily. As small as the bathroom is to the rest of the home, it can be pretty easy to assume that it won’t cost much. However, once you start factoring in the cost of labor, materials, and unexpected costs along the way you can rack up a pretty penny. Therefore, having a dollar amount in mind will help ensure that you don’t go overboard in creating your dream bathroom. Remember when setting a budget to leave room for error. 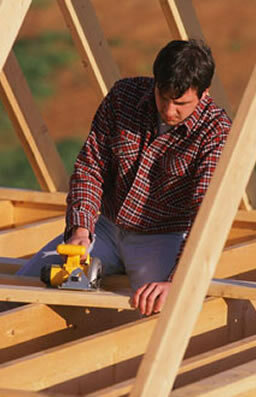 It is important to get several home remodeling estimates from reputable contractors. You need to compare costs to find a company that can provide the services for an overall good value. When you’re getting an estimate be sure that you ask for it in writing and for it to detail specifically what the estimated cost will cover. This way you can make an informed decision on whether it will fit in your budget. As fun as it can be to design a new bathroom, you don’t want to get so caught up in the aesthetics that you forget about practicality and functionality. You’ll need to consider things like who’ll be using the bathroom, how often the bathroom will be used, and in what manner the bathroom will be used in. This will help you to determine what materials are best, what types of appliances are needed, and more importantly how “user friendly” the space needs to be. There are some DIY renovation projects that you can complete on your own, but when it comes to major tasks, it’s best to leave it to the professionals. Bathroom renovations can have a lot to do with plumbing and electrical work. If tampered with by someone inexperienced, it can cause more harm than good. Watching your bathroom transform over the next few weeks will be an exciting experience. As you iron out the details of this remodel, be sure that you remember the do’s and don’ts listed above so that you can minimize the potential for error. Also, be sure to select a service provider that will offer you the best overall value for the services you need.